Lea Waters PhD is an academic, researcher, psychologist, author and speaker who specializes in positive education, positive parenting and positive organisations. Professor Waters is the Founding Director and Inaugral Gerry Higgins Chair in Positive Psychology at the Centre for Positive Psychology, University of Melbourne where she has held an academic position for more than 20 years. She is a registered psychologist (AHPRA) and has been a member of the Australian Psychological Society for over 20 years. Lea is the 2017-2019 President of the International Positive Psychology Association and serves on the Council of Happiness and Education for the World Happiness Council. She holds affiliate positions at Cambridge University’s Well-Being Institute and the University of Michigan’s Center for Positive Organizations. As a researcher, she has published close to 100 scientific articles and book chapters. Her book, The Strength Switch: How The New Science of Strength-Based Parenting Can Help Your Child and Your Teen to Flourish, was the top release on Amazon in the parenting category and was listed in Top Picks for 2017 by Berkley University’s Greater Good Center. The Strengths Switch is being translated by publishing houses in China, Japan, Taiwan, Korea, Hungary and France. 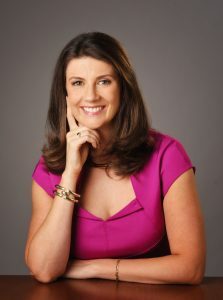 Lea was featured in the ABC TV documentary Revolution School and is frequently featured in print and on the radio, including Wall Street Journal, TIME Magazine, The Washington Post, The Atlantic, The Globe (Toronto), The Guardian (Australia and UK), Live Happy Magazine, The Age and The Australian. Lea’s TEDx talk, Warning: Being positive is not for the faint hearted!, explores how, with small positive steps, we can make a huge impact on our wellbeing. Lea is the Director/Co-Director of four education programs and projects. Her Visible Wellbeinginitiative is being used in schools across Australia, Asia and Canada. Her positive education program, Positive Detective, is being used in schools in the United States, Canada, the United Kingdom, Mexico, Finland, Ghana, Singapore, China, Hong Kong, Indonesia, Australia, and New Zealand. The Strengths Exchange brings together stories of character strengths from children, teenagers and parents across different countries to encourage families to start conversations about the strengths within them. Her newest program, The Strengths Switch offers parents and educators free resources to better build the strengths of young people as well as a five-week on-line course for parents. In 2015, Professor Waters was listed as one of Australia’s Top 100 Women of Influence by the Financial Review and Westpac Bank. She has been listed in the Marques ‘Who’s Who in the World’ since 2009 and was listed in the 2017 edition of Who’s Who of Australian Women. PESA is grateful for Lea’s insightful and practical contribution to the Association.